GOO Combo “A” – For the Pet Parent, who is Beginning their Animal on the Doggy GOO / Enviro Allergy Protocol. Qty 1 Doggy GOO: To begin your Animal’s Doggy GOO Allergy Fight by Building Heightened Immune Tolerance to 15 Major Enviro Allergy Sources. Qty 1 GOO Gut Rescue: Healthy GOO experience with Pet Parents indicates that it is Important that Your Animal’s GUT-Biome is Healthy and “Good Bug” Dominated. That a Good Bug Dominated GUT-Biome is “The” critical Foundation upon which Doggy GOO’s Allergy Fight can Successfully Proceed. This is especially true for Animal’s who have had a past History of Medical Pharma, Antibiotics or Anti-Itch Pharma. Which have a Disruptive Influence on the GUT-Biome, often “Flipping” the GUT-Biome to “Bad Bug” Dominance. Still further, it is Important to Remember that a Bad Bug Dominated GUT will remain this way until the “Host” is No More :(, or until Pro-Active Measures, such as GOO Gut Rescue are taken to return the Gut to GOOD Bug Dominance. As such, GOO Gut Rescue is suggested for the Pet Parent who wants to “Be Sure” that their Animal’s GUT-Biome is Healthy. A daily WELL Amount GOO Gut Rescue mixed into the STRESSed Amount of Doggy GOO is suggested for the duration of Qty 1 Jar. After-which, GOO Gut Rescue can be Discontinued, because the GUT-Biome has been “GOO Gut Rescued” and Going Forward, the Prebiotic & Probiotic in Doggy GOO will keep the GUT Happy & Healthy as Your Animal’s Allergy Fight continues. 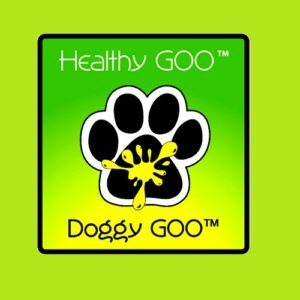 Qty 1 GOO Chill : Healthy GOO experience with Pet Parents indicates that the Animal’s “Behavior” is often Shaped by Allergy’s 24 / 7 / 365 / a LifeTime of – An Allergy Itch that can not be Scratched ! Often translating to Anxious / Erratic Behavior. As such, GOO Chill has been Formulated to Calm and “Take the Edge Off” of the Behavioral Anxiety caused by Allergy. Because the beneficial effects of GOO Chill are Cumulative in Nature, Healthy GOO suggests a STRESSed Amount of GOO Chill be Added to the Amounts of Doggy GOO & GOO Gut Rescue. Then as Allergy Symptoms begin to Dissipate ala Doggy GOO, the Pet Parent is Advised to Monitor the Animal’s Behavior and Maintain or Reduce the Amount of GOO Chill as they Determine. GOO Combo # A : Doggy GOO / Qty 1 Jar + GOO Gut Rescue / Qty 1 Jar + GOO Chill / Qty 1 Jar.